ORLANDO, Fla.--(BUSINESS WIRE)--The Jersey Tomato Co., maker of premium 100% New Jersey tomato sauces and salsas, today announced that its entire line of tomato sauces are now available at select Walmart Supercenters and Neighborhood Stores nationwide. Three SKUs of better-for-you tomato sauces from The Jersey Tomato Co. are available at Walmart: Marinara, Tomato Basil and Spicy. 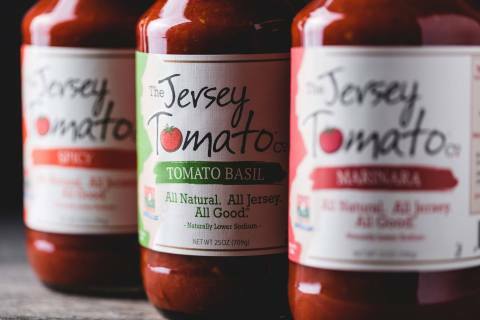 The Jersey Tomato Co. announced that its entire line of tomato sauces are now available at select Walmart Supercenters and Neighborhood Stores.